Apprenez comment TRADER efficacement et GAGNER DE L'ARGENT dans TOUS TYPES DE MARCHÉS, à la HAUSSE comme à la BAISSE - Cliquez sur le drapeau Français pour plus d'informations ! If you have reached this page before having read our page on "How to become a PM Traders Member", please click here. As previously mentioned, the PROGRAM of this SEMINAR is exactly the same as the one from our PRIVATE COURSE (which you can also order by MAIL by clicking here). A FULL COPY of our PRIVATE COURSE will be given to you at the beginning of the Seminar and Pascal MONMOINE will explain in details all of its content during the Seminar. This PRIVATE COURSE is currently 142 PAGES long, in 8 1/2" x 11" format . It includes DOZENS of CHARTS, most from actual trades made by Pascal, to illustrate all the concepts and techniques explained. We decided on using this LARGER page format to make it easier to read and to work with but if it had been formatted like most soft cover books are, it would be almost 300 pages long. What REALLY makes the PRICE of a stock go UP or go DOWN ? Learn why you CAN NOT follow anyone else’s advice ... but only your own!  -How and Where to register to receive daily FREE NEWS REPORTS by e-mail, FREE AUDIO reports etc. RECOMMENDED READINGS … very few books are worth your time and your money. We have read over 300 of them and we have selected the very best ones for you. -How to DEFINE YOUR "Let’s Get Married list™"
"My MAJOR WEAKNESSES to FIX RIGHT AWAY!" Rule #10 - Whenever you want to EXIT a position, ask yourself "WHY ?…"
Rule #14 - If a stock has ALREADY MOVED more than ½ of its ADR™ ... seriously consider NOT TOUCHING IT! Rule #20 - Learn to consistently "TAKE YOUR PROFITS" ... DO NOT GIVE THEM BACK! EVER! Rule #21 - The "Emotional YOU" is going to be your worst enemy ! Rule #22 - Are you REALLY going to be in an OBVIOUS TREND? This is the #1 TECHNIQUE used by most of our members. You will appreciate how powerful this technique really is as soon as you will start applying it. How to use a "SMART TRAILING STOP PROFIT TAKER™"
This technique is a derivative of the P2™ and will generate NUMEROUS trading signals during your trading day. Please be aware that the PROGRAM of the COURSE which will be given to you at the SEMINAR might vary slightly from the one described here above as Pascal keeps modifying it, from time to time, to include the results of his latest research and refinements or to adjust the previous program to make it more efficient for our members. We will of course always give you the VERY LATEST and most UPDATED VERSION of that COURSE. 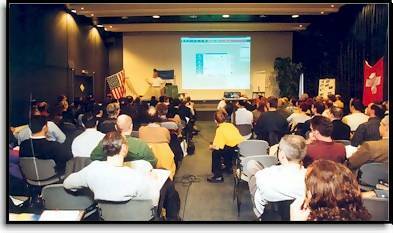 The current fee for attending one of PM Traders' seminars is $1,400. 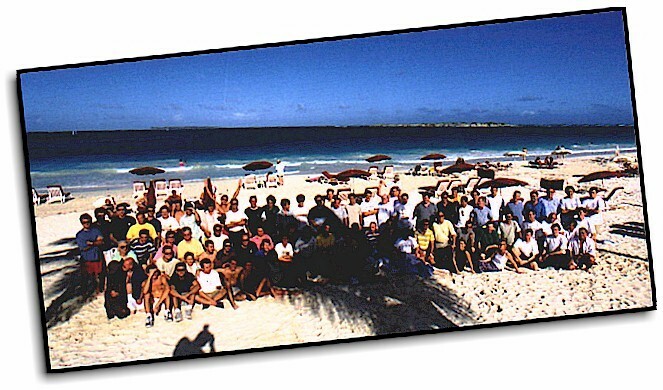 Those 2 DAYS seminars are usually held in the USA but also at times in the Caribbean or Europe..
As previously explained, attending this seminar will also make you become a MEMBER of PM Traders and give you access to all the privileges exclusively reserved to our MEMBERS (please click here to re-open the page with all the information about our membership and its privileges). As an attendee, you will also receive a COMPLETE SIGNED COPY (signed by Pascal MONMOINE to guarantee you that this is an ORIGINAL) of our COMPLETE "DAY TRADING Start Up COURSE". It is a COMPLETE STEP by STEP DAY TRADING COURSE as previously detailed. This COURSE is not available in BOOKSTORES to the general public. Also, as a friendly reminder, the business of STOCK TRADING deals with only one ELEMENT: MONEY. And when we trade, we often make and lose $1,500 in a matter of minutes or hours. 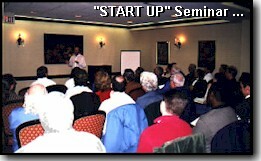 We would like to share something with you... the price of our seminars has increased several times in the past year, based mainly on the suggestion of some of our MOST SUCCESSFUL MEMBERS who realized that they were getting SO MUCH out of our methodology and techniques and that we were just "selling" all that expertise for much too little. Of course, we could have decided to make these seminars much more "elitist" and price their attendance at $5,000 or even $10,000 but we would then have made them inaccessible to too many beginner traders. One of our dearest goals is to have as many friendly and life-loving individuals as possible to join our group from all over the World ... NOT to limit our group to only the lucky few with high financial resources. If you start to know us pretty well by now ... you will quickly realize that our #1 goal is really to have as much FUN as we can and to try to reach the best LIFESTYLE that we could ever dream of ! If you already browsed through our Website, you will already know that, unlike so many Trading "gurus" and lecturers who spend more time "teaching" ... than Trading, Pascal MONMOINE is the very opposite. 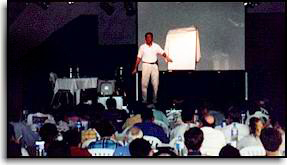 By choice, he only gives very few Seminars each year and he can not really stay too many days without indulging in his absolute passion ... Trading his own accounts. This decision to give so few Seminars is also explained by his strong wish to preserve his 2 most important "luxuries" ... his lifestyle and his freedom. 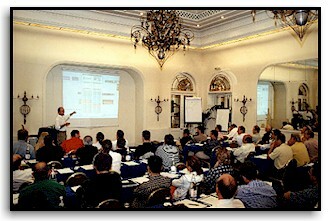 If you want to be informed about his next Seminar we'll be more than happy to contact you by e-mail at such time. Copyright © 1998 PM Traders, Inc. All Rights Reserved. Tous droits Réservés.